For the river mentioned in Genesis, see Gihon. The Gihon Spring (Hebrew: מעיין הגיחון‎) or Fountain of the Virgin in the Kidron Valley was the main source of water for the Pool of Siloam in the City of David, the original site of Jerusalem. One of the world's major intermittent springs—and a reliable water source that made human settlement possible in ancient Jerusalem—the spring was not only used for drinking water, but also initially for irrigation of gardens in the adjacent Kidron Valley which provided a food source for the ancient settlement. The spring rises in a cave 20 feet by 7. Being intermittent, it required the excavation of the Pool of Siloam which stored the large amount of water needed for the town when the spring was not flowing. The spring has the singular characteristic of being intermittent, flowing from three to five times daily in winter, twice daily in summer, and only once daily in autumn. This peculiarity is accounted for by the supposition that the outlet from the reservoir is by a passage in the form of a siphon. The spring is under the control of the Israeli settler organization Ir David Foundation ("El'ad"); it is sometimes used by Jewish men as a sort of mikvah. The name Gihon is thought to derive from the Hebrew Giha which means "gushing forth". The name Fountain of the Virgin derives from legend that here Mary washed the swaddling clothes of Jesus. The Middle Bronze Age channel – a fairly straight channel dating from the Middle Bronze Age, cut 20 feet into the ground, and then covered with slabs (which themselves were then hidden by foliage). This led from the spring to the Pool of Siloam and was an aqueduct. Warren's Shaft – a steep tunnel, dating from slightly later than the Middle Bronze Age channel, leading from the Well Gate at the top of Ophel above Gihon, down to the spring. This passage was for people to collect water from the spring. The Siloam tunnel – a winding tunnel carved into the rock, leading from the spring to the Pool of Siloam. Dating from the time of Hezekiah or earlier, it was an aqueduct that effectively replaced the Middle Bronze Age channel. In 1997, while a visitor centre was being constructed, the spring was discovered to have been heavily fortified at dates then thought to be Middle Bronze Age, when archaeologists unexpectedly uncovered two monumental towers, one protecting the base of Warren's Shaft, and the other protecting the spring itself. Since the area around the site still was inhabited, and hence could not be excavated, it is unknown whether any further fortifications exist (though a further tower to the south of that protecting Warren's Shaft is thought likely). During an archaeological dig in 2009, a fragment of a monumental stone inscription securely dated to the eighth century BC was discovered. Although only fragments of Hebrew lettering survive, the fragment proves that the city had monumental public inscriptions and the corresponding large public buildings in the eighth century. A 2017 study by the Weizmann Institute of Science has redated the constructions, reporting that “Scenarios for the construction of the tower during Middle Bronze Age (MB) and Iron Age II are considered, based on the new 14C data, yielding a series of dates, the latest of which falls in the terminal phases of the 9th century BCE, alongside previous excavation data.” Israel Finkelstein has suggested that the tower could still be Bronze Age but restored in the Iron Age adding that “In any event, a late 9th century date should come as no surprise, as there are other indications for the growth of the city at that time – from the Temple Mount (in my opinion the original location of the mound of Jerusalem) to the south, in the direction of the Gihon spring”. The city government of Jerusalem has proposed to restore the valley floor by removing Palestinian homes in the East Jerusalem neighborhood of Silwan and replacing them with a park called the Garden of the King through which the waters of Gihon could flow south along their ancient course. ^ "Discovering the World of the Bible". google.co.uk. ^ "BBC News - Archaeology and the struggle for Jerusalem". bbc.co.uk. ^ "Jerusalem at the Time of Jesus". google.co.uk. ^ Dr. Carl Rasmussen. "Holy Land Photos". holylandphotos.org. 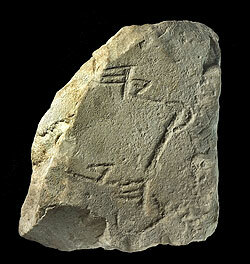 ^ "A Fragment of a Hebrew Inscription from the Period of the Kings of Judah was Found (photo)". Israel Antiquities Authority. Archived from the original on 2010-10-27. ^ "Israel Antiquities Authority". antiquities.org.il. ^ Regev, Johanna; Uziel, Joe; Szanton, Nahshon; Boaretto, Elisabetta (6 June 2017). "Absolute Dating of the Gihon Spring Fortifications, Jerusalem". Radiocarbon. 59 (4): 1–23. doi:10.1017/RDC.2017.37. ^ Borschel-Dan, Amanda (19 June 2017). "Carbon dating undermines biblical narrative for ancient Jerusalem tower". The Times of Israel. Retrieved 26 June 2017. ^ "Rally in Silwan protesting Israeli practices". Maan News Agency. ^ "Gan Hamelech residents wary of Barkat's redevelopment plan". The Jerusalem Post - JPost.com. Wikimedia Commons has media related to Gihon Spring. GIHON (2) in the Jewish Encyclopedia - a version of the publication written before the site of the spring was rediscovered. This page was last edited on 1 April 2019, at 06:34 (UTC).